Happy Wednesday, blog friends! I hope the middle of the week finds you doing great! 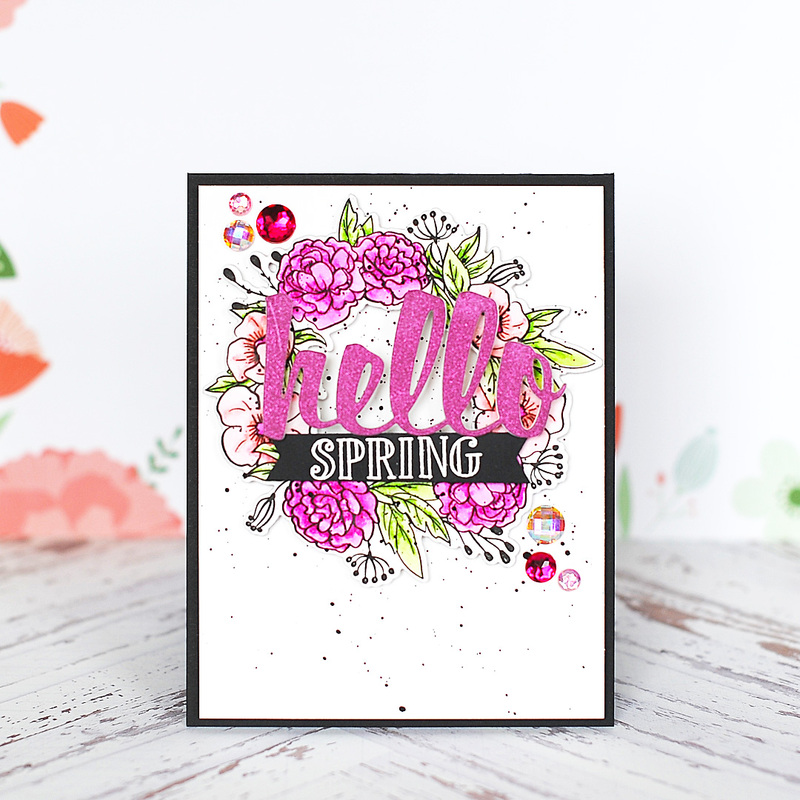 Today I wanted to pop in and share a fun spring card with you. 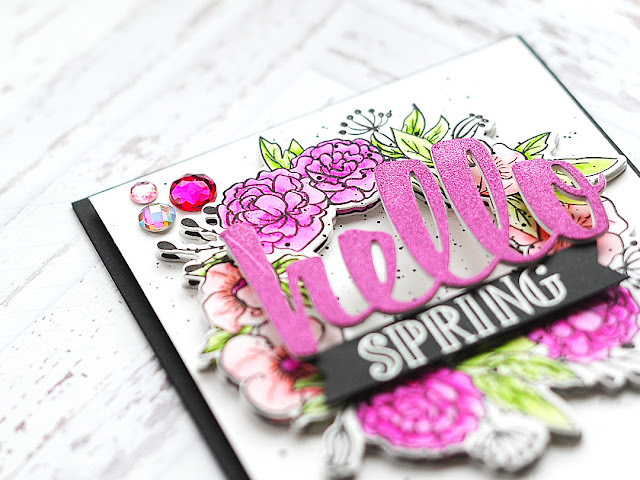 Something that I do each month is create exclusive newsletter projects for Lil' Inker Designs, and these is the card that was featured in the March newsletter! If you haven't already signed up for the LID newsletter, just click on that banner, and then scroll to the bottom of the page. There is a place to sign up in the lower right corner! Along with getting to see exclusive projects from me before they post anywhere else, there are also special promotions & monthly deals as well. Before I get to my cards, I wanted to invite you to follow me on social media. This is a great way to keep up with me, my latest creations & new product that I work with! 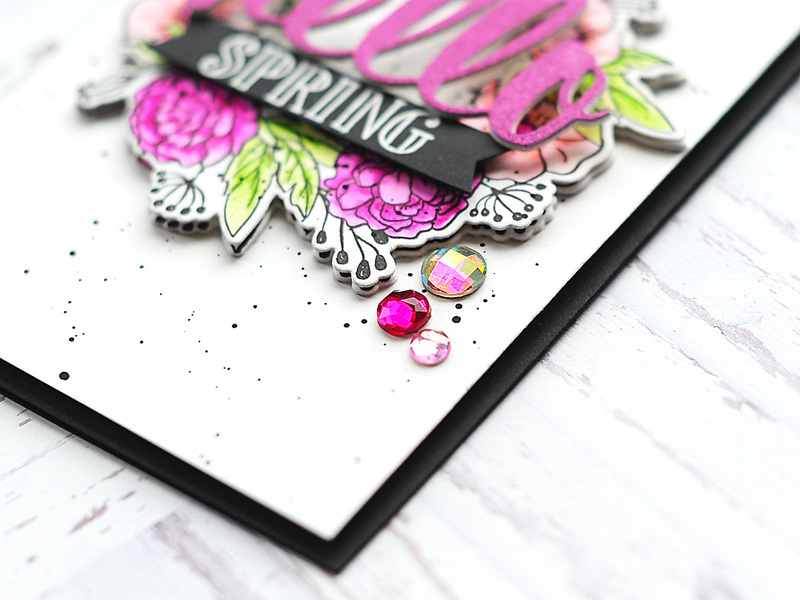 To start I created an A2 card from heavyweight black cardstock. Then I cut a block of heavyweight white cardstock slightly smaller, and set both aside. Next I diecut the wreath shape with the Wreath of Roses diecuts from white cardstock, and proceeded to stamp the wreath image from the Wreath of Roses stamp set to it in onyx black Versafine ink. Then I hit the stamped image with my heat gun to make sure the ink was set. Then I watercolored the wreath using my Zig Clean Color Real Brushes and a size 2 watercolor brush. 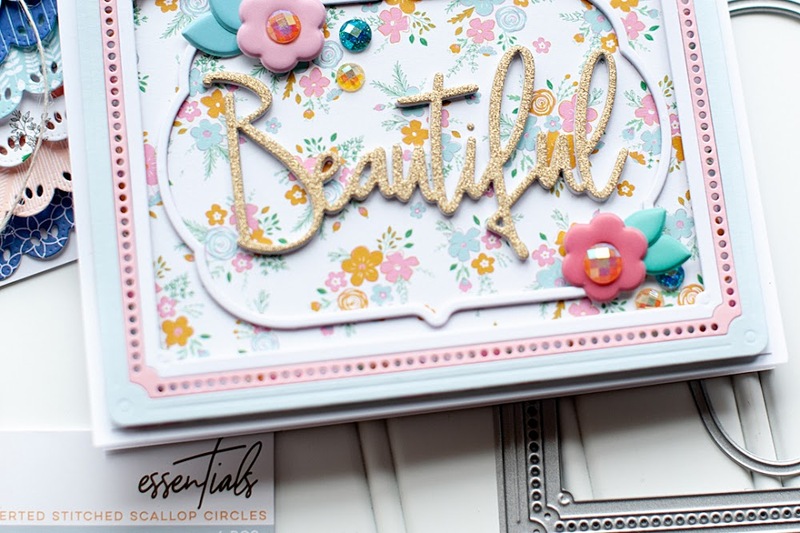 Once dry, I adhered the wreath to the white cardstock block with foam tape & added some shimmer to it with my Wink of Stella clear glitter pen. Next I added black paint splatters to the front. 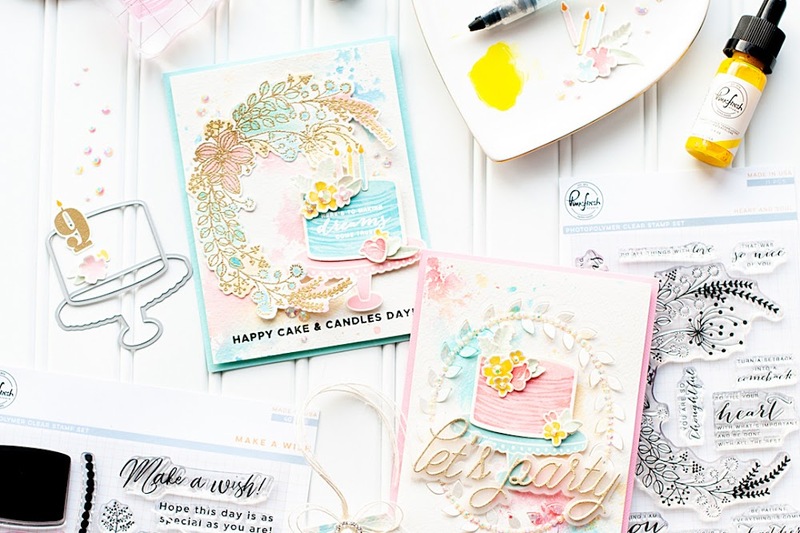 I use a basic set of watercolor cakes to add black splatters to my cards, and it works perfectly for me! Once dry, I adhered the entire block to the black card base with foam to give it some dimension. 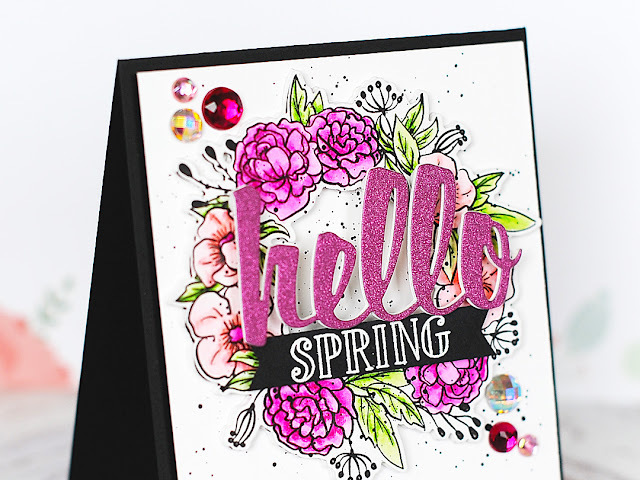 Then I diecut the Hello word die four times: one time from pink glitter paper, and three times from white cardstock. Then I layered them together to give it some rigidity and structure. Next I stamped and heat embossed the word spring from the Egg & Flower stamp set in white to a strip of black cardstock. I cut banner edges to it, then adhered it to the bottom of the wreath with foam dots. Then I added the glitter hello to the middle of the wreath with foam dots as well. 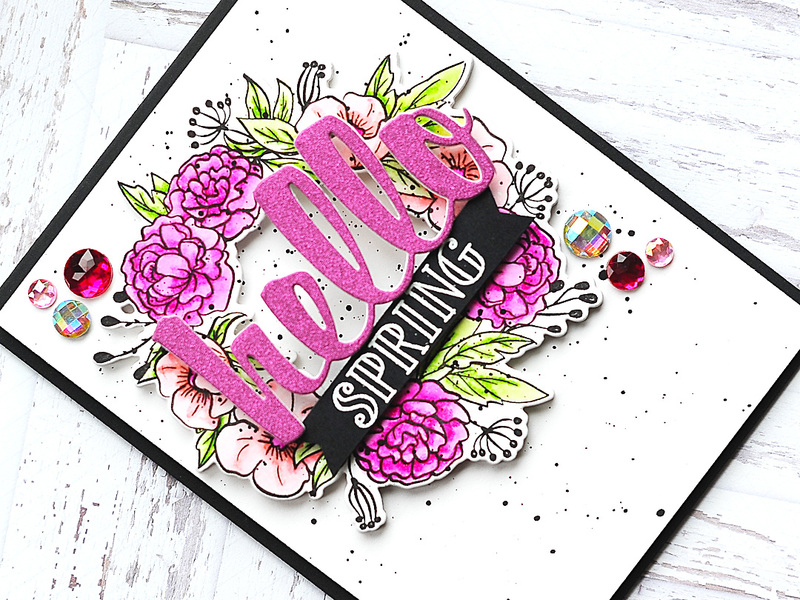 To finish, I accented the card with my signature jewels tucked here & there! That is the card that I have for you today! 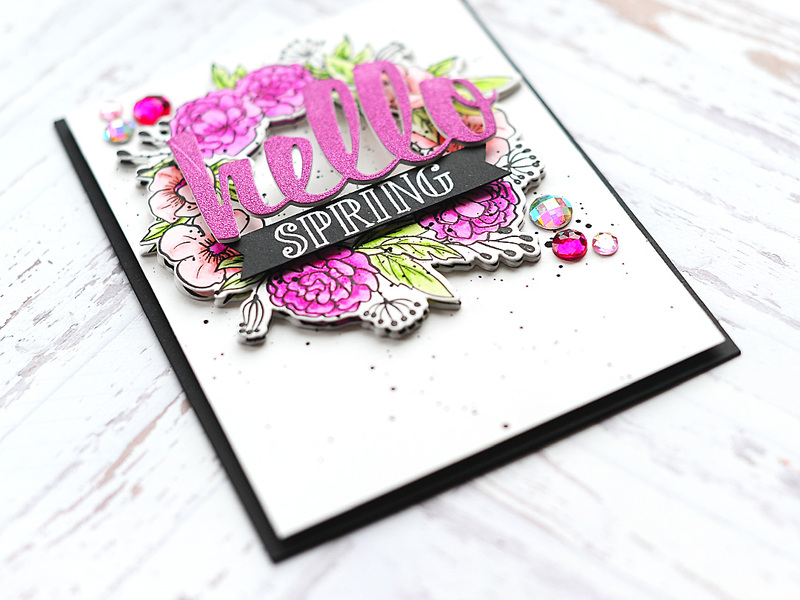 I hope that you like it, and if you are in the same weather boat as I am...that it brought a little bit of spring to your cold days! Gorgeous Lea! 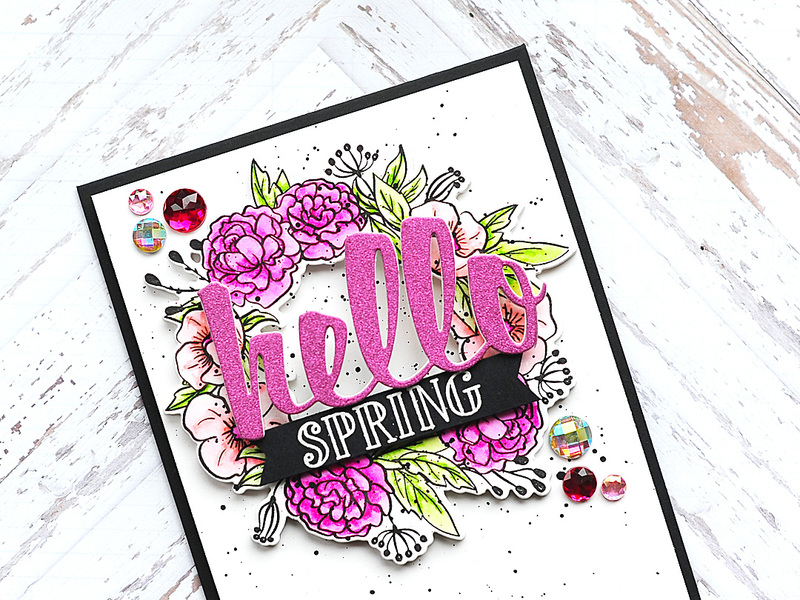 Love the bright floral wreath with your large Hello and sentiment in black- so pretty and perfect for Spring! Thanks for sharing with us at The Card Concept- we hope you can play along again soon! Love this design and the explosion of pinks you used here. Very optimistic and fresh. 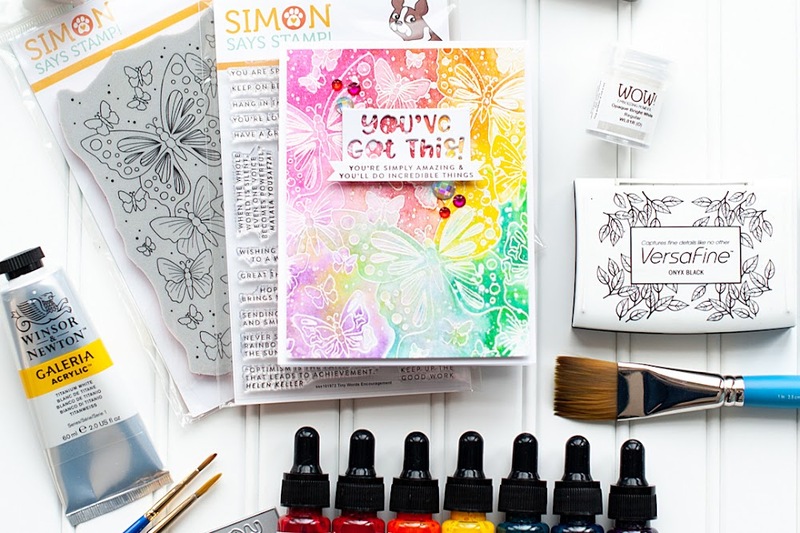 Thank you for joining us over Simon Says Stamp Monday Challenge. I love the colors and the raised sentiment. What a beauty. 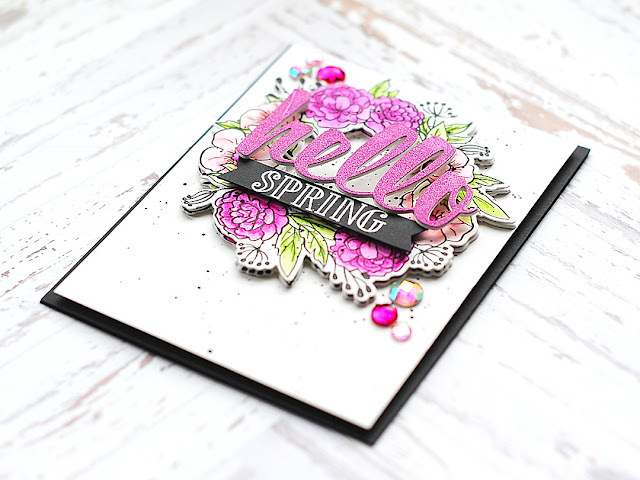 So glad you joined us at Die Cut Divas. Gorgeous flowers!!! Love the big Hello! 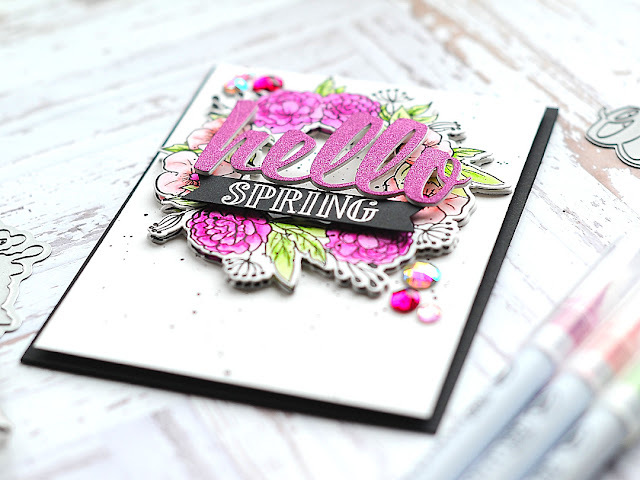 Thanks for joining us at the Card Concept!